So things look a little different around here! Well, that's because the blog got a makeover! I was feeling a little uninspired with the look of my blog so I decided to tweak a few things and I love how it turned out! Nothing major has changed, but I think the result is super clean, chic, and feminine! 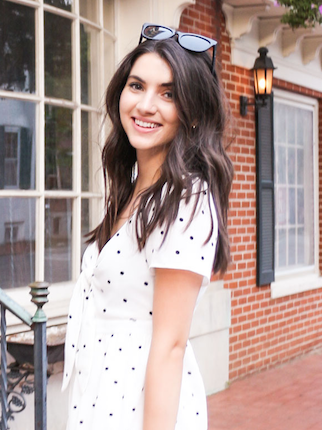 I decided to keep the color scheme of blush, white, and black because I think it really defines my personal style and the style I share on my blog! The busy stripes and wash tape graphics are gone and now I think it looks more grown up! What do you think of the new design? Let me know:)! If you have any questions about how I did this, or how you can change up your blog as well, feel free to leave of comment or tweet me your question (@belleadoreblog)! I love the new look! Its very clean and sophisticated! I love the new look, very chic! Thanks! Exactly the look I was going for!